Welcome to Color Crush // Wine Wednesday – a time of the week where I sit down with a glass of wine and do something creative with color and mood boards. This week was inspired by the egg photo in the bottom right. The colors immediately captured my sense of wonder – all of the natural colors and shapes coming from natural mediums. I’ve searched and searched for the original source, but to no avail. If anyone can help a girl out so I can credit the photographer, lemme know. Mood boards help get the creative juices flowing. Working for one company, it’s easy to get stuck in one color palette and consequently get bored with it. When I stare at the same five colors for a whole week, my eyes start to cross. Mood boards are so great for a fresh project that messes around with color. These colors were calm, soothing to me, so I went with photos that had a lot of “white space” and a pretty simple composition. 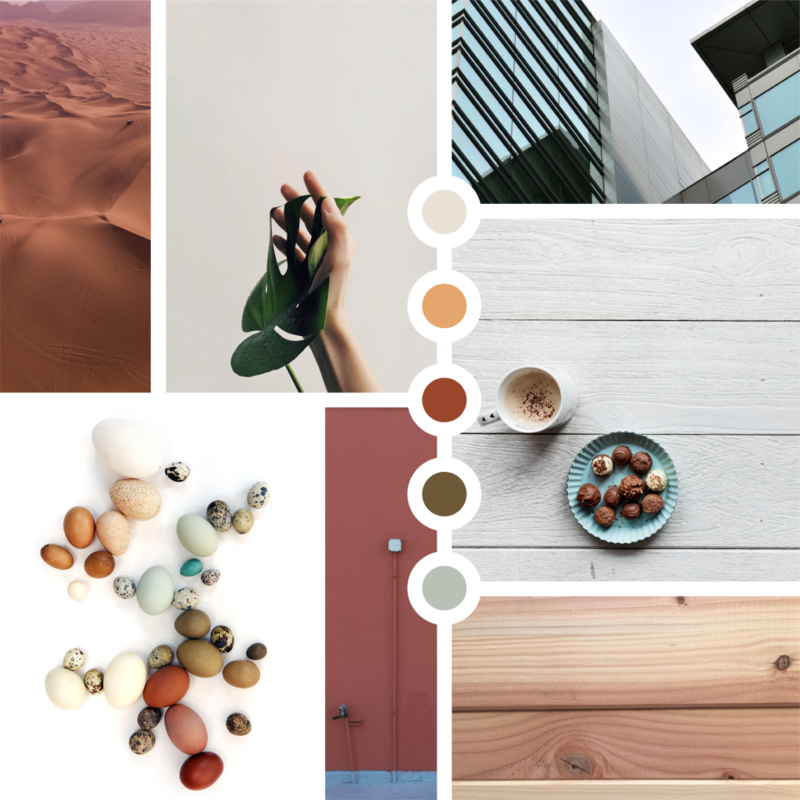 In every mood board, try to include some natural texture (especially given the inspiration pic which included entirely natural elements), some architecture, and whatever else strikes my fancy. Somehow this almost gives me Scandinavian farm vibes. All photos are open source photos through pexels.com – my favorite free stock photo site!